Running a sweep on your hard drive now and then is quite important for not accumulating junk files and to preserve the good functioning of your machine. 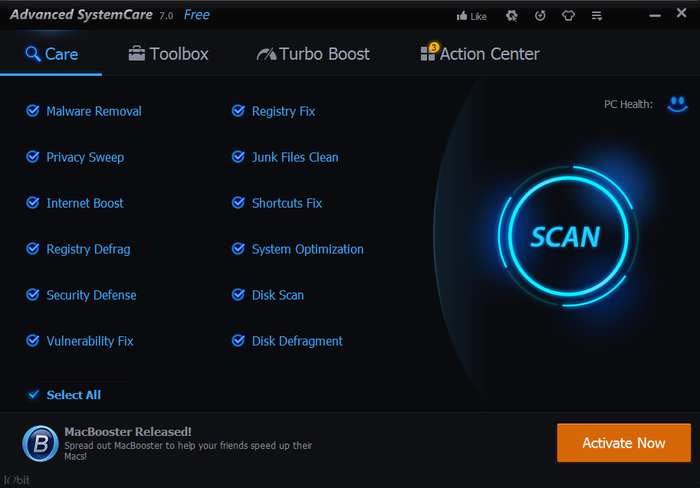 We’ve talked several times already about CCleaner, an indispensable program for cleaning your PC of unnecessary files and untangling problems in your registry, among many other features. Although this is an excellent choice, there’s life beyond the star program from Piriform and there are other free and interesting options. CCleaner has earned its place at the top of the podium among “cleaner” app for its efficiency and quality combined with its remarkable ease of use, but Glary Utilities, without a doubt, has carved out a spot as one of its main competitors, with almost 40 optimization and security tools that help to improve system performance. This complete suite can, among other things, delete temporary files, clean your system registry, correct registry errors, speed up your start-up process, improve the use of RAM, analyze possible physical errors in the hard drive, protect the privacy of your documents, and definitively uninstall any app. We’ve already done a full analysis of the program here. 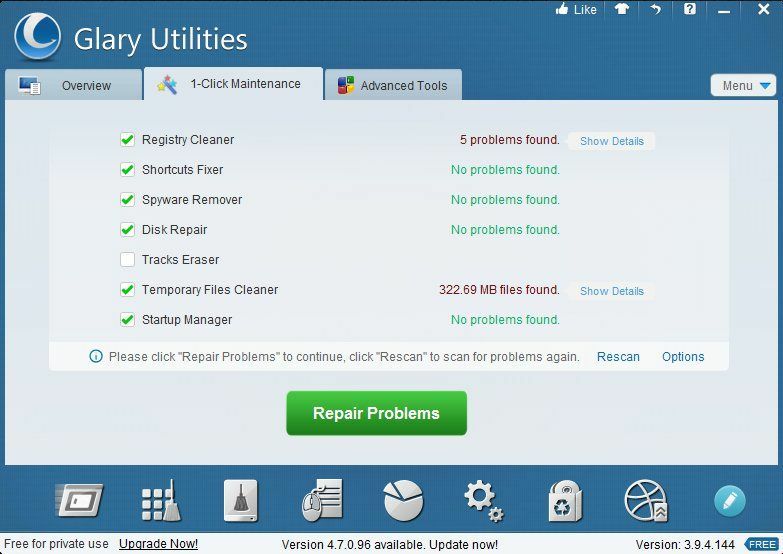 The best thing about Glary Utilities is that you don’t need to know a lot about computer maintenance or how to control the advanced options since, using the “1-Click Maintenance” feature, you just have to click on the “Search for problems” button and the program will do everything automatically. One of the main ways of accumulating trash files is during the process of installing and uninstalling programs, with traces inevitably left of everything you’ve deleted. Baidu PC Faster is a very useful software that will improve the running speed of your computer by freeing up hard disk space and evaluating whether your system is protected at the level of updates and security options. It also sets up a regular scan to ensure that this debris doesn’t start to build up again. Baidu PC Faster detects and repairs all the registry errors on your computer and shows all files that could be infected thanks to cleaning features for your system and your desktop. It also displays options to assess your connection speeed and computer startup time. 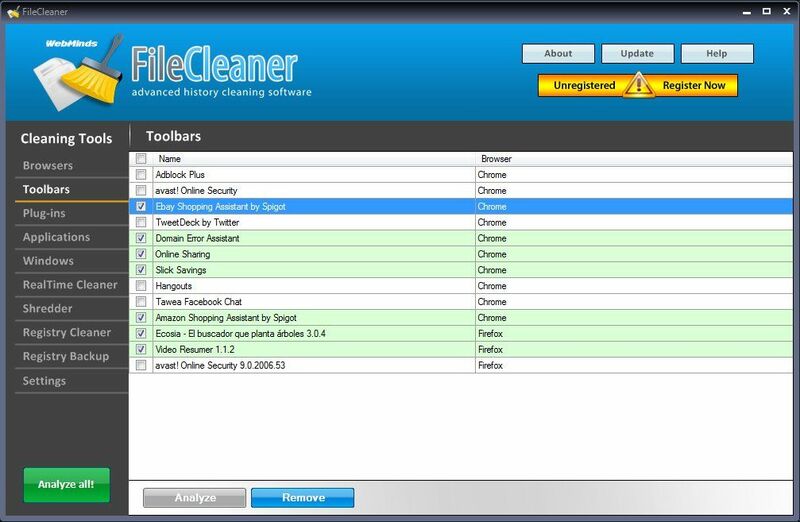 Another tool that gives a deep clean and speeds up Windows is FileCleaner, which is also focused on deleting temporary files, your history, and other useless documents. It tracks all the webpage you visit, creating a browsing history page with cookies and temporary files to speed up the loading of those pages and browsing while at the same time destroying any potentially insecure or suspicious files. Its cleaner is set up to detect and fix all sorts of Windows errors and automatically back up all the changes made to the registry so that you can recover older versions at any moment. Nevertheless, the best thing about FileCleaner is the ability to leave it running in the background as a real-time protection that can delete any trash file in an instant. This suite, besides doing all the same things as CCleaner, also works as a malware detector and browsing-speed optimizer. Its analysis is totally customizable and you can specify whether you want it to also defrag your hard disk during the test or improve system security. Other features include the option to delete files blocked by default in your system, blocking your browser’s startup page from being modified by AdWare, protection while browsing, and a parental filter, among many others.